It’s hard remembering when the assassination of anyone, other than a key head of state, aroused as much international furor that won’t die as Khashoggi’s murder. His elimination remains a headlined story over seven weeks since the October 2 incident. Key for the agency is he displaced a Western intelligence favorite – Mohammad bin Nayef, as well as Langley and some of Riyadh’s closest allies believing he’s too reckless and untrustworthy to lead the kingdom when his father, king Salman, passes. Clearly he ordered Khashoggi’s murder. Yet Trump and his regime hardliners refuse to lay blame where it belongs, sticking by MBS despite his reckless actions since becoming crown prince, destabilizing the region more than already. Prince Ahmed bin Abdulaziz, king Salman’s younger brother (age-76), appears their favorite to succeed him, according to unnamed Saudi sources. He’s supported by some royal family members, Saudi intelligence officials, and some Western nations. In 2017, he opposed MBS becoming crown prince, criticizing his actions. In October, he returned to the kingdom from short-term self-exile in London, reportedly to challenge MBS or find someone else to replace him as crown prince – reportedly with US and UK guarantees for his safety. His senior ruling family status may protect him. According to Middle East Eye sources, he was “encouraged to usurp” MBS, three unnamed senior princes backing him, a figure considered more stable and reliable than the crown prince. A May 15 kingdom letter, seen by Reuters, said MBS requested Saudi’s defense ministry to “focus on purchasing weapon systems and equipment in the most pressing fields” – notably Russia’s S-400 air defense system he and king Salman agreed to buy last year. The kingdom’s purchase was agreed on during king Salman’s first-ever state visit to Moscow in October 2017, MBS supporting it, angering Washington, pressuring Riyadh to cancel it, wanting the Saudis to buy Lockheed Martin’s Terminal High Altitude Area Defense (THAAD) anti-ballistic-missile system instead – despite superior S-400 technology, the world’s best. Riyadh’s security apparatus “will follow any consensus reached by the family.” King Salman remains an obstacle to succession, sticking by his favorite son, “believing there(’s) a conspiracy against the kingdom,” said Reuters. 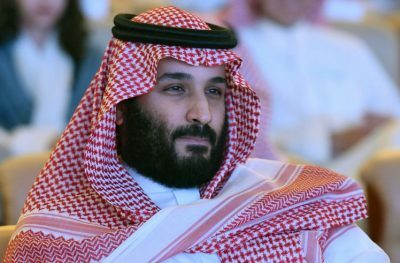 To succeed his father as king, MBS needs the kingdom’s 34-member Allegiance Council to agree to his ascension. The Khashoggi incident weakened his grip on power, whether enough to be replaced as crown prince remains to be seen. It “includes an option to pin (Khashoggi’s) murder on an innocent member of the ruling al-Saud family in order to insulate those at the very top” – the convenient patsy yet to be chosen. In The Prince, Machiavelli explained how rulers should distance themselves from state-sponsored criminality – shifting blame onto convenient patsies. The Saudis are likely to follow this principle – if left with no other viable option. Recalling its Istanbul consul general, Mohammed al-Otaibi, and sacking him may, in hindsight, have been step one to shift blame away from where it clearly belongs. There’s virtually no doubt about MBS’ direct involvement in authorizing Khashoggi’s murder. All that’s in doubt is whether he can remain crown prince. The issue will likely come to ahead one way or the other in the coming days.